Sometimes when we are trying to make healthier food choices, we feel like we have to give up our favorite restaurants. But almost any restaurant has healthier options if you educate yourself ahead of time because sometimes the best choice is not always the obvious one. 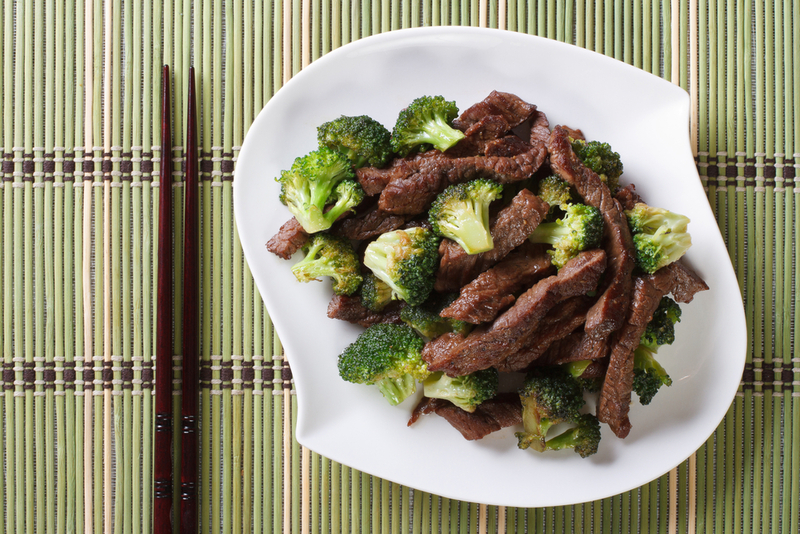 For example, Chinese food can be a diet destroyer or a diet savior! While it may sound like a healthy option, skip the Vegetable Lo Mein. Those noodles are just a pile of refined carbohydrates and that is without any sauce. Instead, try a dish of Buddha’s Delight which is usually made with steamed tofu and lots of fresh vegetables. Steamed is always better than fried, but even the Steamed Pork Dumplings are not a great choice. Now combined with a salad or a cup of soup, they would be perfectly fine but as just an appetizer they’re a little heavy. If you have a craving, start your meal with Wonton Soup instead which will fill you up with light broth and just a few of the dumplings you want. If you want beef from your favorite Chinese restaurant, please skip the Orange Beef which is usually battered and fried and then served dripping with sauce. Instead, order the Beef with Broccoli which will still give you the red meat plus a heaping helping of one of the most nutritious vegetables available. As a general rule, we all know to avoid fried and sauce-coated meals if we are watching our fat, calories, and sodium. So stick with steamed protein and vegetables with the sauce on the side. One of the best options is a spring roll (the cold ones not the fried ones), which are usually full of shrimp and fresh vegetables. If it’s possible, avoid the white rice. This entry was posted in Diet, Lifestyle and tagged Beauty Frizz, BeautyFrizz, beef with broccoli, buddha's delight, Chinese food, diet, diet health, Eat Well, food, fresh vegetables, health, Healthy, healthy options, lifestyle, live well, low calorie, low fat, low sodium, sauce, steamed, tofu, Vegetables, wonton soup.